How long does it take to close your books? Do you think it should take less time to perform these tasks? Recent studies suggest that it should take three days to close your books. From our experience, we see an average of 5 – 10, sometimes more. 1 – Reduce the pain of broken processes in Cash, AP, AR, GL, Inventory, and other sub-ledgers. 2 – Improve operational effectiveness by moving towards soft or daily closes. We will share some of our experiences on these insights in this article and present detailed cases studies at the Financial Conference. So why do we close the books anyway? It provides the business with a periodic comparison of performance for the primary reports such as Balance Sheet, P&L and Cash Flow. For publicly traded companies in the US, it is a legal requirement and influenced by Sarbanes-Oxley. Best practices for month end close is to spend more time analyzing the results. Currently, many companies are bogged down capturing transactions and reconciling balances – extending the close period. With the SAP ECC and HANA platforms, companies should be driving down month end closing costs and duration. How do you reduce your cost of month-end close? Our advisory services team prefers to start with the month end close schedule. Ideally, this detailed schedule is current and accurately reflects tasks, start/stop times, owners and gating or approval processes if required. A Gantt chart is a huge advantage depicting potential bottlenecks and risky areas in the close process. Benchmarking the steps is essential to quantify and measure baseline and target benefits and improvement. A good example of benchmarking will apply metrics to functions or processes i.e. cost to process a vendor invoice is $25, or cost of a disputed customer invoice is $100. Automation and simplification drive a reduction in costs. One of our SAP ECC customers was seeking to drive down their PTP process costs. Historically, their process was traditional and needed some upgrades to reduce costs and allow for scalability of the AP operations. Automating the PTP process: request, creation, approval, and payment, increased the number of no- touch invoices by 50%, reducing AP operating costs to approximately $15/vendor invoice or a 40% reduction. Some other low-hanging fruit to consider when targeting processes for cost reduction? Increase Materiality – This may reduce the time and effort of specific close tasks. Identify Processes with poor data quality – Consider fixing the upstream data governance. Manual or spreadsheet-laden processes – Assess if automation or data governance could reduce the dependency on manual effort. In a recent study, migrating to a soft or daily close was a top objective of many CFO’s and Controllers. A soft close sometimes referred to as “continuous accounting” provides critical reports and metrics to run the business without the numerous tasks to close the books. One CFO we spoke to said all she needed to run her business was her “Flash Five” report. These five critical metrics provide the direction and decision support to manage the business. The “Flash Five” included daily operating cash, AP, AR, Inventory count and value, and open Sales Orders. If these five metrics did not trend as expected, she knew she had to act. If open sales orders were down, she worked with the VP of Sales to get an answer. If inventory was rising, Operations got a phone call. These are not the only attributes of the soft or daily close. The close steps Gantt chart provides visibility on costly transactions such as JV’s, top-side entries, accruals or allocations. Break down the ratio of this transaction to your primary sub-ledgers of cash, AR, AP, Inventory or other primary balances. If the cost/benefit ratio of these additional entries did not materially affect the books, could you get by without them in the daily close? At the SAP-Centric Financials Conference, we will demonstrate some business cases and justification on how you can reduce your cost of operations in the Financial Close. Do you want to see our case studies of how to reduce your closing costs? 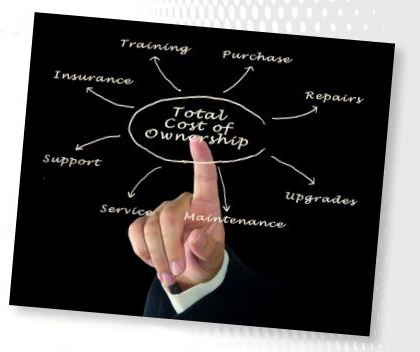 Contact Mark Vasinda, mvasinda@titanconsulting.net, 972.977.3100; or your Titan Consulting Sales Director.